Posted by The PerfectHouse Team on Monday, November 10th, 2014 at 2:23pm. Virginia living Museum - Offers admission and membership discounts to active duty military personnel and their families. Paragon City Center 12 Theaters: Free 85oz popcorn all day for anyone with a military ID. Sam's Club - Exclusive military membership offer - military community can join or renew their membership and receive a $15 gift card or $25 gift card. Lowes Home Improvement - 10% military discount with a military ID, good for active duty, retire and dependents. Old Navy - 10% off your entire purchase for military personnel everyday for Virginia Locations. DAV - 20% discount to all active duty and veterans thru November 15th with ID. Meineke Car Care: Veterans and active duty service members are invited to visit on Veterans Day for a free oil change. Home Depot - Expanding their military discount to all veterans - 10% off. Sports Clips - Free hair cuts to active duty service members and veterans with proof of service. Walgreens - Veterans and active duty military get 15-20% off certain items. Big Lots - Veterans, Active Duty, Reservists, and dependents 10% off their purchase. DSW - 10% off all items in-store. Rack Room Shoes - Military personnel and their dependents receive a 10% discount off their entire purchase. Sports Authority - Veterans and Military members can receive 15% off their purchase. Build-a-Bear - 15% off entire purchase with military ID. The Green Turtle - Free Meal from a select menu on dine-in to veterans and active military personnel all day Tuesday, November 11th. Zoyo Frozen Yogurt - Suffolk - Free Frozen Yogurt up to $3 all day for military members with an id. Nawab Indian Cuisine - Military discount 15% off everyday at all locations. Military ID require. Abuelo's Mexican Grill - November 10 & 11th Military Members and their guest enjoy 20% military discount off their check at Chesapeake and Hampton locations. Hooters of Hampton Roads - All veterans and active duty military can come to Hooters and enjoy a Free Meal up to $10.99 with a purchase of a drink. Dine in only. Olive Garden - Veterans Eat Free with proof of service from a list of several entrees on a special menu. 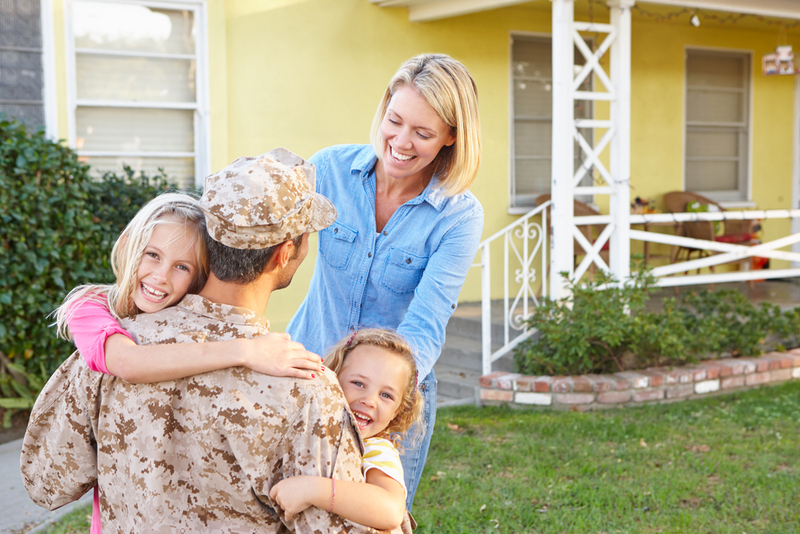 Family members dining with the veteran or service member will also receive 10% off their meal. Applebee's - Military Veterans and Active-Duty Service Members will be able to eat Free from the Applebee's Veteran's Day Menu with ID. Golden Corral - Monday November 17th they will hold their annual Military Appreciation Monday dinner. Chili's - Free meal from 11am-5pm. for active duty and veterans. Lone Star Steakhouse - All veterans and active duty military will receive a free entree from the Stars & Stripes Menu with military ID. Max & Erma's - Veterans and Active Duty Military Personnel can enjoy a free cheeseburger, choice of soup or salad, and a chocolate chip cookie. Outback Steakhouse - All veterans and active duty service members can get a free Bloomin' Onion and beverage. Red Lobster - Free Appetizer with military ID or proof of service from special menu. Uno Chicago Grill -Buy one entree and get one free of equal or greater value for active duty, retired, veterans, and their dependents. California Pizza Kitchen - All Veterans and active duty military a Free meal from special menu. Dine-in only. Carrabba's - Veterans and active military service members a free appetizer of your choice with purchase with military ID. Little Caesar's Pizza - Get a free order of Crazy Bread. Village Inn - All Veterans and active duty military receive a free stack of pancakes. 7-11 - Veterans, active duty, and dependents can get a free small Slurpee at participating locations.